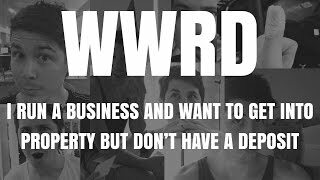 In this episode of WWRD we discuss some options if you own a business and want to begin investing, but currently have no deposit. Hey and welcome to What Would Ryan Do, the series where you provide me with some sort of property question and I do my best to tell you what I would do if I was in the situation and to try and give you some unique thoughts on the situation. Sometimes, it can be very difficult to see the forest for the trees. You are in your situation; you can only see what you can see and sometimes it is good to get an outside perspective. We like to have a bit of fun with this. We do not take it too seriously. This is not to be considered financial or mortgage advice. It is just my opinion of what I would do in a situation but you need to assess what you would do because you obviously, know your situation best. The question today, we are talking about someone who runs a business and they want to get into property but they do not have a deposit. So let us go through and we start by reading the question and then we will share some thoughts on it. And so, absolutely great question. I am very sorry to hear that you are starting from scratch again – about 10 years ago you had to start from scratch again. But I think a lot of people find themselves in this situation where they need to start from scratch again. Now, you are in a unique position because you own a business, so you do not have a job and you do not have a deposit. So, this is making things difficult if you want to go ahead and invest in property. So, I am going to give you some thoughts on things that you can do but again, no deposit and a business depending on how long you have been running that business, how much income you generate from it, how much debt you have on the business as well, will really depend on what decisions you make moving forward. So, what sort of income do you want to achieve when you finish? For me, that goal is $60,000 a year in passive income. That goal is enough to live off with me and my family, get by, have a pretty cushy lifestyle, and then I can work from there to try and improve that. But $60,000 a year is the goal. So, my question is what is your goal that you are trying to achieve? You say you cannot work this hard for the rest of your life. So first, sit down and think about that then think about how is the best way that I can achieve it. Robert Kiyosaki, he wrote Rich Dad, Poor Dad; he always talks about how his strategy was to build businesses and then invest in real estate. So he would build a successful business and use the profits from that to then go ahead and invest in real estate. So you have an opportunity because you already run a business to do the same thing. And that is the sort of position that I am in as well. I am building businesses and then I am going to use that to go ahead and invest in real estate. So, you set your goal; think about that your business may be an asset that could actually get you towards that goal. Let us say that your goal is similar to mine in terms of passive income each and every year so you can live the life that you want. “Can you achieve that without property,” would be my first question. Can you take your business, change it in such a way that someone else could run it for you and then you are generating passive income from your business. That is a big thing that I think about in my business. There are a lot of things that I could do to make a hell of a lot of money than I make right now. 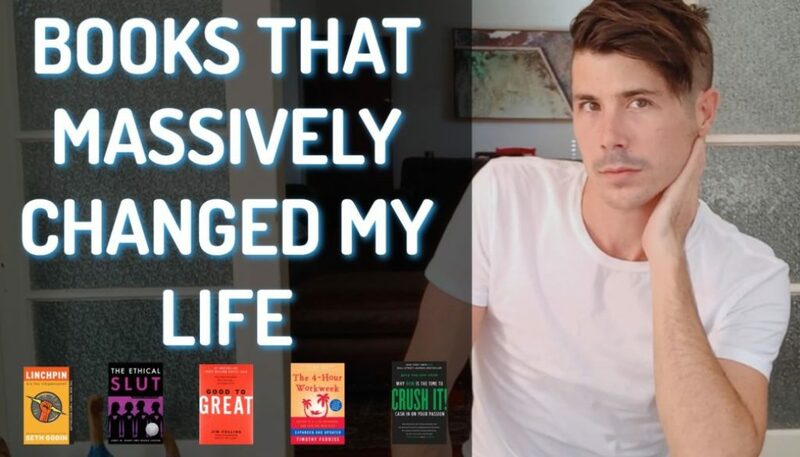 But the work that I do, I try and do so that in 3 years, in 5 years’ time I will have a larger than average passive income coming in from my business and I will be freed up to work on other things that I am passionate about as well. I always like to work on things I am passionate about but I am always thinking about how this can continue to work for me for years to come. And so for me, with the internet, with content that I create, that kind of works passively once you have created it. But depending on your business, you may want to get someone into basically replace you. Run the business on your behalf and generate profit from it. You could even go into partnership with someone; you have been embezzled in the past; maybe that is something you do not want to do. But that is an option. 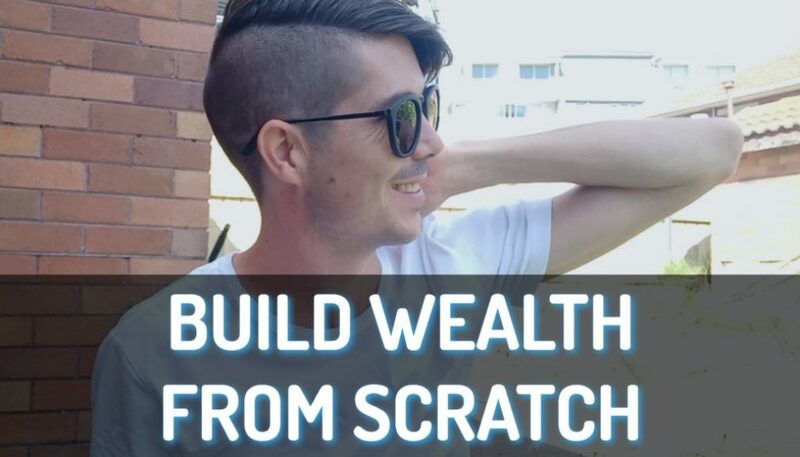 You can also think about, ‘what if I could build my business up and then sell it for a profit and sell it for a big chunk of money and that is how I would achieve my financial freedom.’ So, a lot of people have done this. There are so many start-up companies and things like that where they start the company, they sell it, they get a bulk of money that they could then do whatever they want with. And so think about that as an option as well. That is always an option that I am thinking about in my business; could I go ahead and sell this and then pocket the money and move on from it. Maybe, that is your trip to financial freedom and not working this hard – is actually selling your business. The book that I recommend for that is called Built to Sell, and so if anyone runs a business, definitely read Built to Sell. They talk about how to create a company that you could go ahead and sell. The next thing that I want to touch on is can you use your business to purchase property. So rather than thinking, ‘Okay, I run this business; I also want to invest in property. So I can begin to achieve financial freedom,’ what if you actually merge the two and said, ‘I run a business; can my business invest in property.’ Maybe your business needs commercial space, can you purchase that commercial space rather than renting the commercial space. And so you have business reasons to purchase that property and maybe owned by the business, you may hold it in a different company or trust. How you set it up will depend on what you want to do. Obviously, talk to an accountant about that. But if you can use your business to invest in property rather than yourself, then you can use the financials of the business to get your mortgages and things like that. That is definitely something to consider as well because if you run a business, you purchase a property, you can pay down the debt; maybe in the future, you could sell the business but keep the commercial property that the business is renting and you could generate passive income from that. Or maybe you could purchase a space and you had a bit of leftover space and you could rent that out to another business, someone who wants some space there as well. So, you could use that as an opportunity to begin to generate some passive income on the side. Another thing that you could think about is maybe selling your business – again I do not know how much debt that you have, and starting another one. Sometimes, businesses become stagnant. You are just as motivated to and so selling it off to someone who could do more with it can often be a good idea. You could then reenter a different business because you have fresh eyes because you are more passionate again. You could maybe improve the value of that and then sell it again in the future. 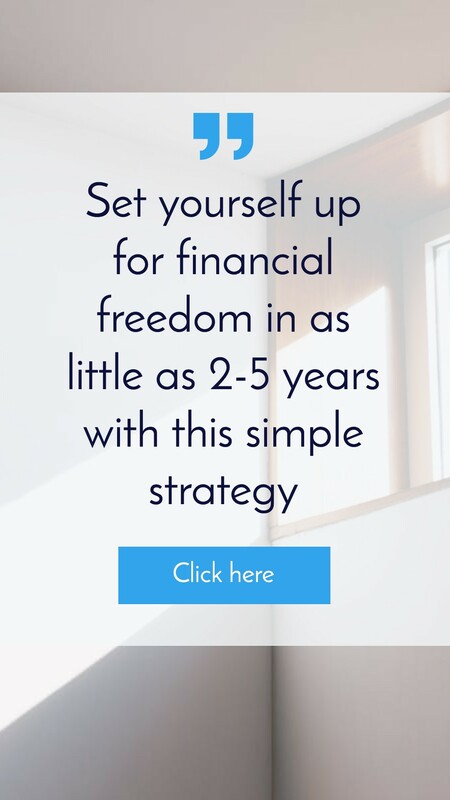 So, you need to look at your turn on time; what is your business going to be worth in the future, what are you earning, would you be better off if you sold it, which would give you a deposit and then start another business and maybe you could buy property from there. Again, it is all coming back to keeping in mind your goal and what you are trying to achieve and just explore all of these different ideas to help you try and get there. Maybe you just stay where you are and you buckled down and saved your deposit and invest from there; maybe that is the best solution. Maybe you want to sell the business and get a job. Maybe you want to sell the business and start another one. Maybe you want to invest using the business. Maybe you want to grow the business and then just sell it in the future for big payday. There are so many different options that you have but I would definitely explore – you are saying you are working too hard, so I would definitely explore how can I run this business more effectively so I do not have to work as hard; how can I hire other people. That is definitely something that I need to think about on a regular basis, otherwise, I find myself just working too hard. I need to think about what are the best things I can be doing to grow my business and to improve the lives of the people that I try and help while at the same time not working too hard and stuff like that. I hope this has given you some ideas. I guess it is not specific property advice; it is very difficult to purchase property with no deposit and given the fact that I do not know how much debt you have with your business or how much you are pulling from your business as a personal wage. It is difficult for me to give advice. But I hope that me just talking about this, talking about your situation, has given you some ideas. 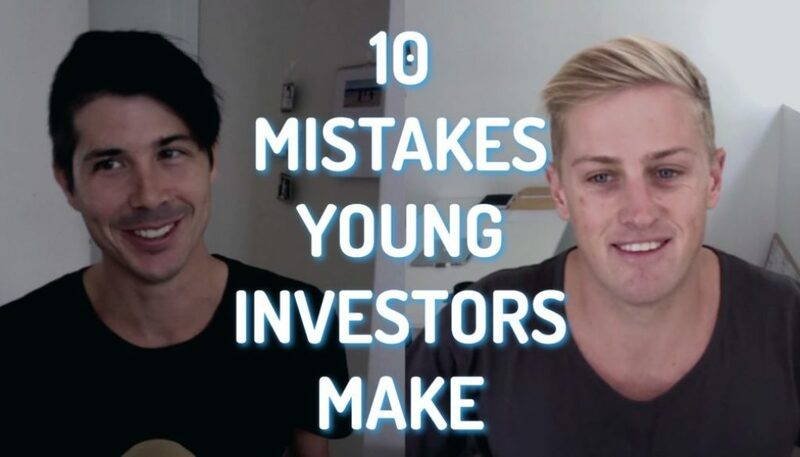 And I wish you the absolute best both with your business and with your property investing. One thing that I will leave you with and absolutely recommend is read Rich Dad, Poor Dad’s book called The Cash Flow Quadrant. Now, this is the second book in the series – Rich Dad, Poor Dad was the first one. But The Cash Flow Quadrant talks about how different people make money; how those employees who make money selling their time for money; the self-employed people who are basically employees who own their jobs; and then there are the people who run businesses and who generate passive income from those businesses without them having to work in it, and there are investors as well who can generate passive income that way. But given that you are working super hard, it sounds like you might be in the S or the self-employed category where really you just own your own job. And so reading that book, understand the different ways that people make money, will be really valuable to you because Robert Kiyosaki says. “The rich do not work for money,” and that did not make sense to me for many, many years. But now that I run my own business, “I do not work for money,” but I generate money through my business. It is an abstract idea but it is so powerful once you get it. So definitely, go out and read Cash Flow Quadrant if you have not already and I recommend it to anyone in the world; anyone who wants to generate passive income, anyone who wants to live differently. Go ahead and read that book. If you want a link to get it online, you can go through my affiliate link. 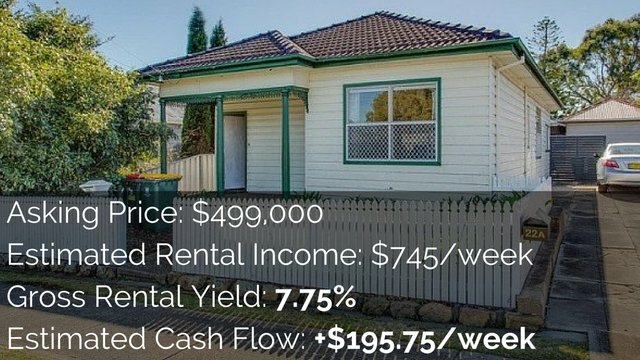 Just go to OnProperty.com.au/CQ for Cash Flow Quadrant. That will redirect you to FishPond.com where you can buy that book if you are interested. 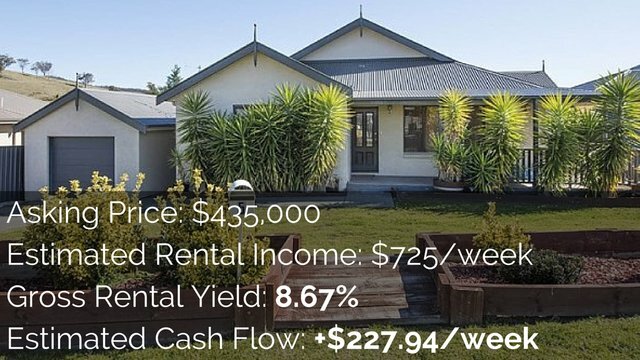 So again, it is on OnProperty.com.au.CQ for Cash Flow Quadrant. That book is so good. Go out there and read it! Okay, that is it for me today guys. That ends this episode of What Would Ryan Do. I wish you the best in all of your property endeavors or your business endeavors or whatever it is you are doing. That is for me, until next time, stay positive.